Splendid Film has acquired Indian mega-blockbuster Baahubali: The Beginning for Germany. Billed as India’s most expensive film, the $40m historical drama has shattered a number of local box office records since its release last July. It subsequently became the top-grossing local film with a box office of $90m, according to Francois da Silva of Arka Mediaworks International. 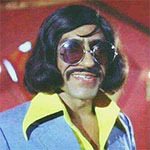 Arka International was set up as the sales arm of Indian production outfit Arka Mediaworks to handle international sales of the film. It is headed by da Silva, who was formerly creative consultant at Luc Besson’s EuropaCorp and former artistic director of Cannes’ Directors’ Fortnight. The film has been sold to 70 territories, including China, Japan, South Asia and Latin America. Arka Mediaworks International will continue sales at the upcoming European Film Market in Berlin and will also look to ink pre-sales on next instalment Baahubali: The Conclusion. The second part of the epic drama is currently in production for an early 2017 release. Like the first part, it is also directed by S. S. Rajamouli and produced by Shobu Yarlagadda and Prasad Devineni of Hyderabad-based Arka Mediaworks. 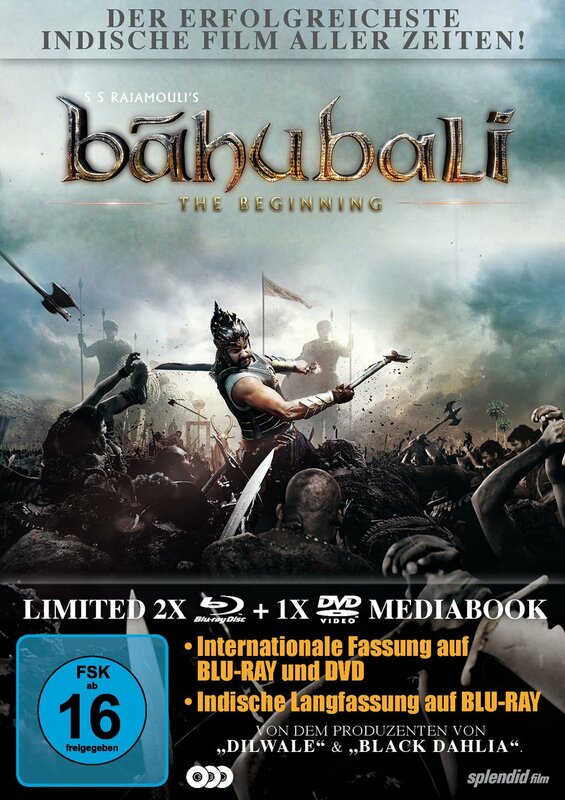 The Telugu version of Bahubali is being released on Blu-Ray in Germany, with both the shorter international cut and the original cut. No English subtitles. While the whole world is waiting with bated breath for the magnum opus Bahubali:The Conclusion, the film’s makers have already sprung up a surprise. ‘Team Bahubali’ which comprises of SS Rajamouli, Rana Daggubati and others recently launched a book titled ‘Rise of Sivagami’ at a literature festival. Buzz is that, this is the first book in the ‘Bahubali’ series, which talks of the time before the beginning of ‘Bahubali’ when Sivagami seeks revenge of her father’s death. While the book has been penned by Anand Neelakantan, it will be available all over from March 7 this year. The book launch session also saw the hunky Rana Daggubati reading an excerpt from the book. Readers may recall that, earlier the makers of Bahubali had given a a preview of the graphic novels that will be hitting the markets soon alongwith the virtual reality game. The second instalment of Bahubali The Beginning, which has been titled Bahubali: The Conclusion stars Prabhas alongwith Rana Daggubati, Tamannaah Bhatia, Anushka Shetty and Sathyaraj. The film is all set for release on April 28 this year. India’s Arka Mediaworks has teamed with character entertainment company Graphic India to expand its blockbuster “Baahubali: The Beginning” across formats including comic books, novels, animation and gaming. 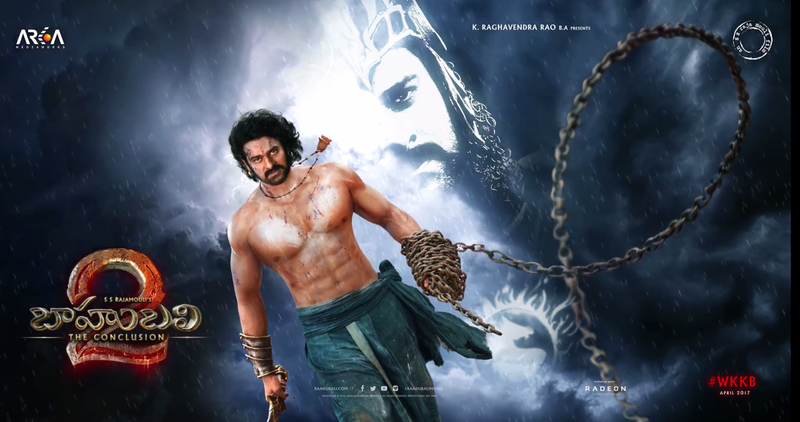 2015 release “Baahubali: The Beginning”, directed by S.S. Rajamouli, and produced by Arka’s Shobu Yarlagadda and Prasad Devineni, grossed more than $88 million worldwide. A shorter international version cut by Vincent Tabaillon, (“Now You See Me”, “Taken 2”) is set to roll out across 30 international territories. 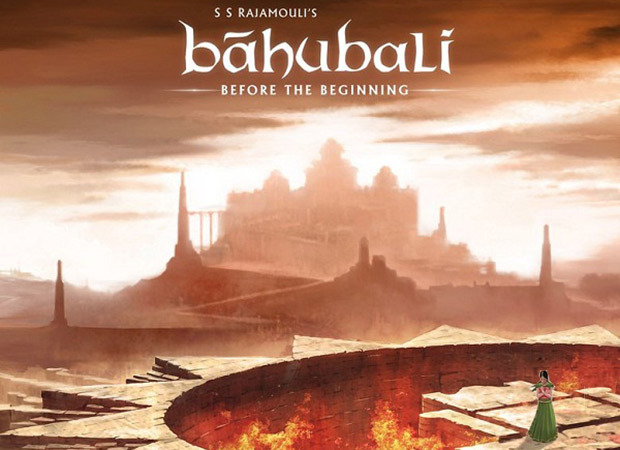 The transmedia expansion of “Baahubali” will begin with graphic novels. The first two are already in production, Graphic India co-founder Sharad Devarajan revealed. Also in the works is a larger, animated project, currently titled “Baahubali: The Lost Legends”. “The market is dominated by Western and Japanese animation. We want to see if Indian animation can work across the world,” Devarajan told Variety. With the franchise’s gaming component Arka and Graphic India are also targeting India’s 900 million mobile users. Rajamouli also revealed that filming of the sequel “Baahubali: The Conclusion” is under way and likely to conclude in August or September, ahead of a probable release in late 2016 or early 2017. The two films together have a production cost of $50 million. Separately, Arka’s previously announced deal with tech giant AMD has lead to work getting under way on “a cutting edge virtual reality film with live action elements,” Yarlagadda said. Graphic India is owned by U.S. comic book company, Liquid Comics, CA Media, the Asian investment arm of The Chernin Group, LLC, and NYC Media Group, Start Media. or is Tamaanah Bhatia the woman pictured? It's indeed Anushka on this poster. She has the main female role in Baahubali - The Conclusion. 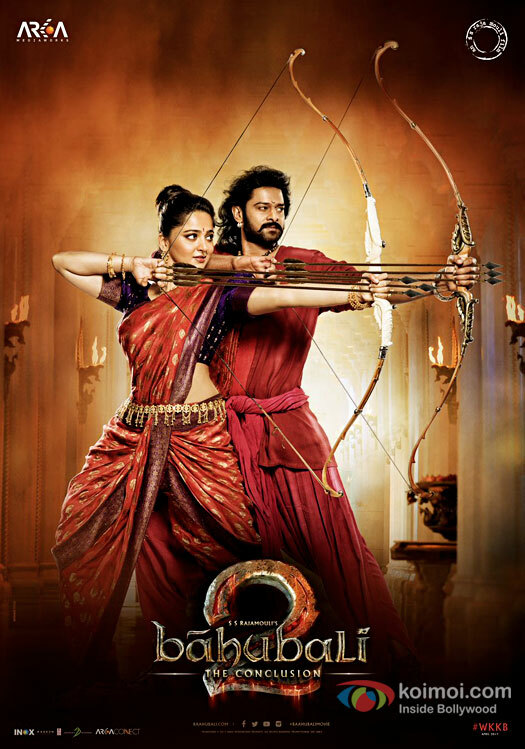 On the poster it's Baahubali (Prabhas) and Devasena (Anushka). When five-year-old Sivagami witnesses her father being branded a traitor and executed by the maharaja of Mahishmathi, she vows to one day destroy the kingdom. At seventeen, she recovers a manuscript from her crumbling ancestral mansion. Written in a strange language called Paisachi, the manuscript contains a secret that may redeem her father or condemn him further. Meanwhile, Kattappa, a proud and idealistic young slave who blindly believes in his duty, finds himself in the service of a spoilt prince. Alongside, he must try and keep his brother, who resents their social position and yearns for freedom, out of trouble. As Sivagami tries to unravel the secret of the manuscript, she finds that the empire of Mahishmathi is teeming with conspirators, palace intrigues, corrupt officials and revolutionaries. An ambitious nobleman will do anything for power and money. A secret group of warriors under the leadership of a seventy-year-old woman is determined to stop the slave trade. A forest tribe, deeply resentful of having been driven away from their holy mountain three hundred years ago, is preparing to wage war against the king. 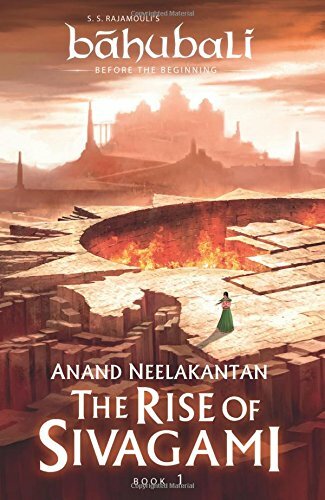 From the pen of Anand Neelakantan, the bestselling author of Asura: Tale of the Vanquished, Roll of the Dice and Rise of Kali, comes The Rise of Sivagami, filled with staggering intrigues and unforgettable characters. A riveting tale of intrigue and power, revenge and betrayal, The Rise of Sivagami is a befitting prequel to S S Rajamouli's blockbuster film Baahubali. 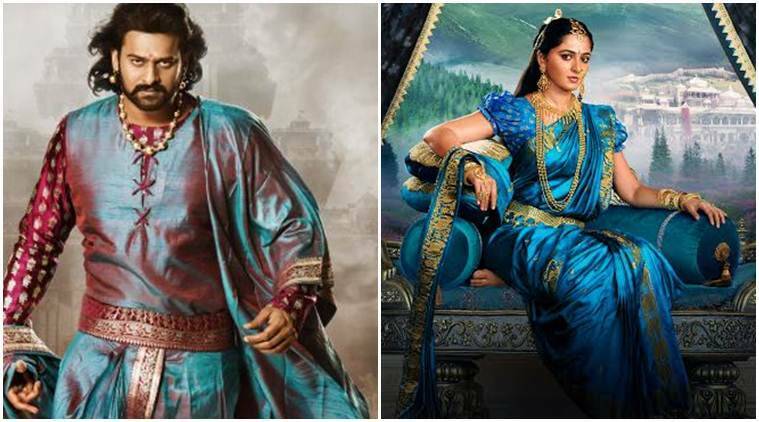 Baahubali and Devasena looking glam! BAAHUBALI: CONCLUSION is ALL-TIME ALL-INDIA BLOCKBUSTER! 100 crore per day in all languages! That has never happened before. 320 crore in a three-day weekend. Never happened either. Version *dubbed* into Hindi brings in 40 crore per day. Dubbed versions never do that. 40.75 cr new record for a Day One. 46.5 cr on Day Three is new all-time One-day Hindi Record. Only other day when a film in Hindi earned more than 40 crore was Day Three of Dangel. And today, Monday, Day Four of Baaahubali's release, the Hindi version will earn *at least* 30 more crore.